In Seattle, Maurice Sendak's 'Wild' 'Nutcracker' Reaches Its Final Act For more than 30 years, the Pacific Northwest Ballet's Nutcracker has used sets and costumes designed by the author of Where the Wild Things Are. This year, the ballet is retiring the production. 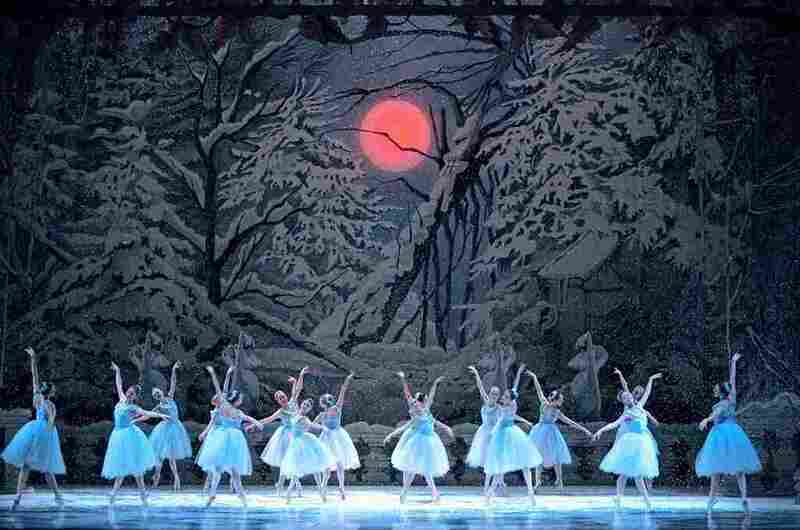 The Pacific Northwest Ballet's Nutcracker features choreography by Kent Stowell and sets and costumes by the late children's book author Maurice Sendak. In Seattle, the Pacific Northwest Ballet performs The Nutcracker to that same ubiquitous Pyotr Ilyich Tchaikovsky score. The ballet tells the story of Clara, a young girl whose grandfather gives her a nutcracker at a party. One night, Clara goes searching for her nutcracker and walks right into a battle between a regiment of toy soldiers and a wily team of oversized rodents. 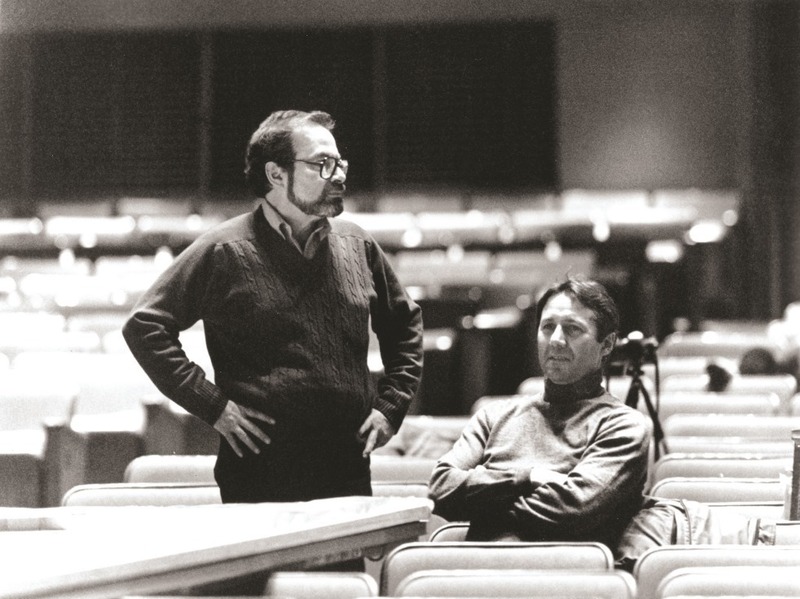 Stowell (right) says Sendak (left) needed some convincing before he signed on to design a new Nutcracker. Their version of the ballet debuted in 1983. But then Seattle's version departs from the traditional storyline: In Act II, there's no Sugar Plum Fairy or Land of the Sweets; instead, there's a lavish Turkish palace with servants in headscarves and a leggy peacock with a swishy tail. And if you're familiar with Maurice Sendak's children's book Where the Wild Things Are, you'll instantly recognize the toothy tiger with the big yellow eyes that totters and leaps. 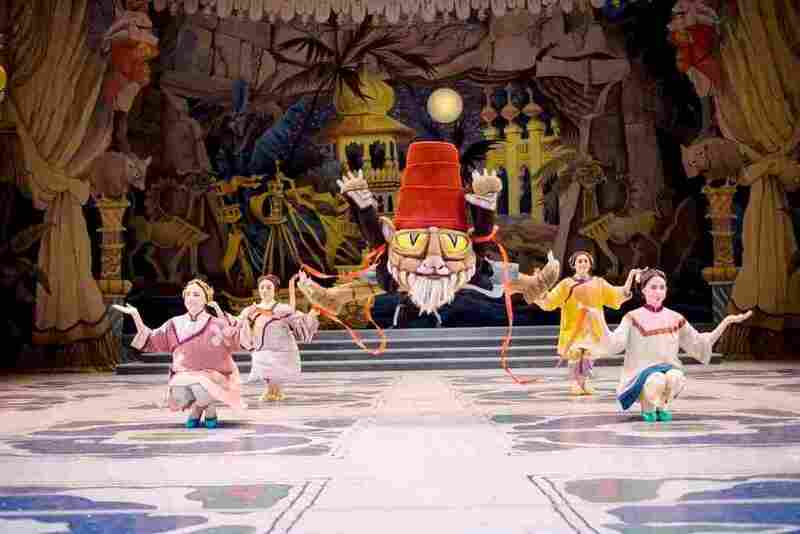 For more than three decades, Seattle's Nutcracker has used sets and costumes designed by Sendak, who died in 2012. But now the Pacific Northwest Ballet is retiring its one-of-a-kind production. Kent Stowell and his wife, Francia Russell, were the ballet's artistic directors back in the 1980s, when they envisioned a different kind of Nutcracker production and approached Sendak to help them realize it. "I flew to New York," Stowell says, "and we sat down and started talking about it. And I said, 'Well, I want to do a Nutcracker.' And [Sendak] says, 'Well, I don't even like ballet.' "
Sendak had designed three operas and one off-Broadway children's musical, but Stowell says he regarded the typical Nutcracker as, well, too cute. "[Sendak] likes real things, you know, like monsters and children that cry and make demands," Stowell says. So in the Pacific Northwest Ballet's Nutcracker, there's a huge rat puppet with a thick twitching tail that looks like it wraps all the way to the other side of the stage. There are also cannons and a Christmas tree that doubles in size to 48 feet right before your eyes. It's all enough to spook the tiniest of tots, which was kind of the point. Stowell says Sendak wanted to challenge kids: "Maurice and I thought what makes children happy is to be a little bit afraid, scared; [to] overcome things. And so that's what Nutcracker ended up being: a story about a little girl and her trials and tribulations of growing up, facing life and romance. And is it a dream or isn't it a dream? That's how the ballet ends." Pacific Northwest Ballet's Jessika Anspach says a scene from Act I of Sendak's Nutcracker, in which snow falls on twirling ballerina snowflakes, made her want to be a dancer. Over the years, Seattle's Nutcracker has changed at least one child's life. It was the first ballet Seattle native Jessika Anspach ever saw, and she says watching a scene at the end of Act I — in which snow falls on top of twirling ballerina snowflakes — made her want to dance. Now she's in her 11th year with the Pacific Northwest Ballet. She says, "Part of me had always hoped that one day I'd be able to take my kids to see our Nutcracker and say, 'Your mom did that!' "
Now, that won't happen. The company's current artistic director, Peter Boal, says this is the right time to retire the production. All three of Boal's kids have danced in Sendak's Nutcracker, so he's quite attached to it, but he's also sentimental about the version choreographed by George Balanchine, which Boal danced in when he was with the New York City Ballet. So he's bringing Balanchine's Nutcracker to Seattle. It'll be a new production with sets and costumes designed by contemporary children's author Ian Falconer, best known for his books about a very cultured pig named Olivia.